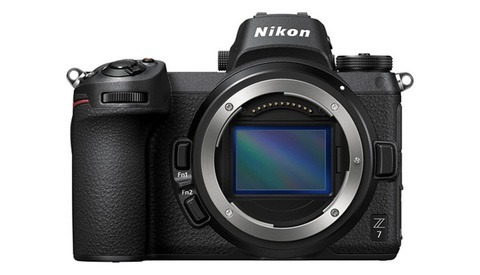 Is the Autofocus on the Nikon Z7 a Disaster? Video of Nikon Z7 Auto Focus REVIEW | Good, Bad, or ATROCIOUS? Is Sony Better? 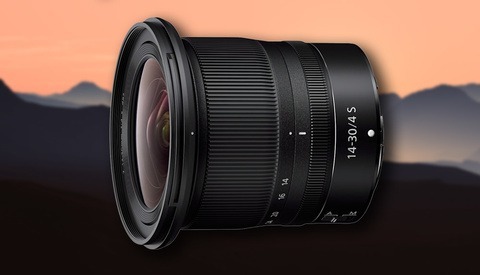 A matter of weeks ago, Nikon launched the Z7, and rumors started to circulate that the autofocus system was far from perfect. More reviews are coming in, and reports are not good. Back in August, Tony and Chelsea Northrup explained that their experience with a pre-production model of the Z7 triggered some alarm bells. "They promised me my D850 in a mirrorless form, and that was not my experience," explained Chelsea, referring to her inability to use the autofocus to track Tony walking towards her. They acknowledged that this was not the final product and that the lighting was quite low, but this did not bode well. Two weeks ago, Jared Polin shared his experiences shooting soccer and baseball, expressing similar concerns. It just simply wasn't as good as a DSLR. Again, Polin acknowledged that his immediate comparison was the D5, a much more expensive camera, so the test was perhaps a little unfair. 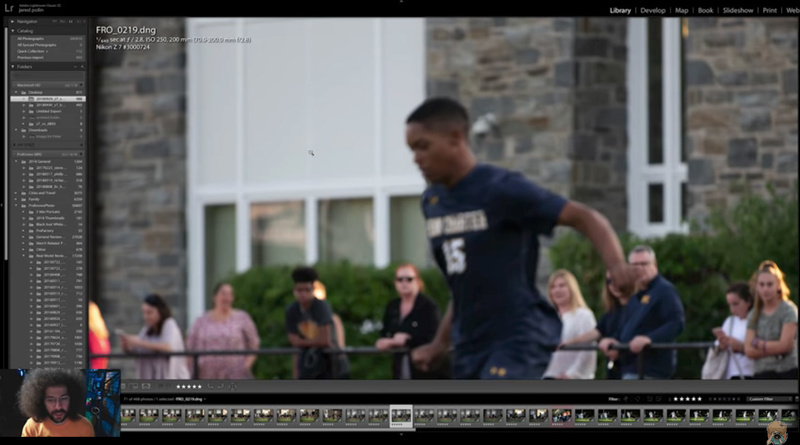 Screenshot from Jared Polin's Nikon Z7 autofocus review YouTube video. A few days ago, DPReview updated their Z7 review with new information about the autofocus performance. (The review is marked as August 23, but it appears that the autofocus details have been recently updated.) The verdict is far from kind: "In short, the only thing consistent about the Z7's subject tracking performance is just how inconsistent it is." In developing their new mirrorless system, Nikon removed 3D-Tracking, a part of their autofocusing system that made the D850 and the D5 so well-regarded for their ability to lock on to moving subjects. The system now used in the Z7 may be possible to fix through firmware updates, so one wonders if there were compromises made in order to get the mirrorless cameras to market on schedule. In the coming weeks, Fstoppers writer Adam Ottke will be giving the Z7 an in-depth review, and he will no doubt be rigorous in his tests. Until then, if you've managed to get your hands on Nikon's latest offering, let us know in the comments how you're liking the autofocusing system. I returned mine primarily for the autofocus weaknesses. I need an all around camera and the Z7 is not up to the task. Repeat after me, "Never buy 1st generation products." That goes for Apple, car manufacturers and many others. If you buy 1st gen products, you're gonna have a bad time. Though, to be fair, if everyone followed that rule, there never would be second generation products. My 2¢ is that it is ridiculous that Nikon didn't do enough QA to get something as critical as AF correct in the first gen but this isn't always the case. Look at the D800. First generation super high-resolution full frame. It was a phenomenal camera for its time. It took me 6 months to get one because there was so much demand and it was well worth it. First gen has its weaknesses, but my policy is to just not buy first gen at launch. You usually know within a week or two if the first gen is solid or not. At least wait until the first firmware update and don't buy 1st gen if you're going to be up a creek if it's not 100% reliable. Hmm, my D800 had shutter vibration that ruined many images, it went to Nikon twice. As to the auto focus not being right; that depends on your usage. I don't shoot sports with either the Sony a7iii or the D750, my D500 kicks both of their butts for speed. I'm wondering how many photographers really want to shoot sports with a high rez camera when they have much better options out there. And, my D800, which is my main camera, has worked great from day one. My views are colored by the fact that I've been shooting seriously for over 45 years, 10 of that professionally. More than half of that was using manual focus. I even shot track in high school with a twin lens reflex. I shot a high school football game for out local paper with the Z7 last week, using the adaptor and the 70-200 f/4. No problems. But, maybe I'm just substituting skill for spray and pray. If, like Jared, you want to follow just one soccer player through a crowd, then the camera may not be for you. Or you could use zone focus. Or, you could learn your camera well and wait for times when the subject is open. Otherwise autofocus is fast and accurate in decent light and fair in very low light for anything but a fast moving subject. If you look at Z7 reviews by working pros, then the word is nearly all very positive. We have to remember that YouTube reviewers are not working photographers. Their livelihood is dependent on the most viewers and they are not above spreading controversy and click bait. I did rent the Sony 7rIII for a couple of weeks last spring. I'm keeping my Z7, which I much prefer. "...maybe I'm just substituting skill for spray and pray." Valuable comments, Michael. The one thing I'd mention in response to your thoughts is the damning report from DPReview. Jared himself acknowledges that he's not an experienced sports shooter and many of the comments tell him that he's using the wrong AF mode (despite his choice being the one recommended by Nikon), so his experience is not to be taken as gospel. DPReview, however, is perhaps a different story. I'm with Jim on this. I didn't find the DPReview take anywhere near damning. "We have to remember that YouTube reviewers are not working photographers." Except many of them are, or have been for years. The stock photography the Northrups shoot isn't the deadline driven work that most pros face. Other than that, most of the pros reviewing the Z7 like it. McNalley certainly does. Is the Z7 a great sport camera? No. Is it good enough for the occasional sport shooting most of us do? Absolutely. I've already shot a football game with it and had plenty of keepers. As many as I might have gotten with the newer Sonys? Probably not. Enough for the assignment. Absolutely. We need to remember that it is only cameras released in the last handful of years that are better. For nearly 200 years people have been making photos. 1826, I believe. For decades, pros have been getting great sports/birds in flight photos without the newest AF magic. It is nice to have, but far from essential. I have mixed emotions about mine. Single point works well, as does Wide Area-Small. Definitely not to D850, D500 Group AF levels but very good. I didn’t use my D750 for sports shooting and wouldn’t use my Z7 for sports. Additionally, shooting video in Continuous AF works as well as my Sony A7iii, again, not sports video but stage and concert. ... but ... nope never mind. It’s a paperweight; exactly what was said when the specs came out and it underperformed at its own release party. Go ahead and buy it for that price though. I’m sure someone will be happy with it. We've done additional testing since, in a variety of real conditions, and our first impressions were right. It will focus on still subjects in good light, no problem. Moving subjects, low light, shallow depth of field, those all cause focus to be inconsistent. It's similar to a Sony a7R II; it's not useless, but it's a generation behind. It's definitely not a mirrorless D850, but it's the best mirrorless camera for Nikon lenses. It would be helpful to know what lenses you had tested with and what was the failure rate under what lighting conditions and whether the lens failed or did not fail if mounted on a D850. 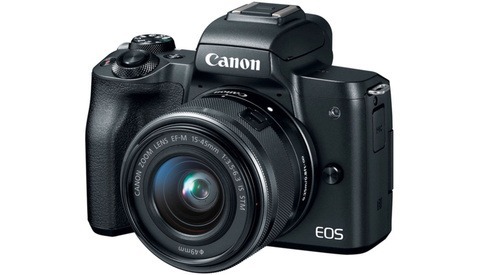 What would also be helpful to know what the focusing speed difference between the 2 cameras. These types of analytics are very helpful in determining how to work with the Z7. You really need to play a camera to it's strengths there's no Holy Grail out there for the professional photographer. Like Lenses we have different bodies for different tasks. I'm a film still photographer on action films and for me the D5 has been my magic wand since the day it arrived but on a film set it has one massive downfall, the slap of the mirror. For many of you that know the work I do you would be familiar with the big Aquatech sound blimps we use to dampen around 96% of the shutter noise. You would be surprised how loud that 4% noise is on an ultra quiet set and stuck inside the box we had zero control over anything in the middle of a take. Shooting action it doesn't really matter as it has no chance of being heard but those quiet scenes were killers. Since the day I began shooting on films I dreamed of a silent camera that gave me control over all my settings. Today with the Z7 I have that! The ability to see live exposure and be able to change everything from focus modes, iso and file size through the viewfinder in the middle of a scene is groundbreaking for this old Nikon shooter, oh and I don't need my glasses to check frames anymore I can do all that through the evf. The Z7 fits perfectly into my quiver of arrows and can do so many things that my D5's and D850's cant, edge to edge focus anyone? and my D5's and D850's can beat the Z7 in other specialised areas. Both tools take an equal spot in the bag, it's just the Z7 is smaller and lighter and has opened up so many more opportunities for me on a film set taking my work to the next level, you have to be happy with that! Jasin, complete agreement on all you said. I started using the Silent Shutter on set a couple of weeks ago. The Z7 goes everywhere in our kit now. It has. It's dead quiet on the Z.
Yup and somebody else has an amazing autofocus system and lenses to go with it while shooting silent... hmmmm who might that be? Fanboy or not, I’ve been shooting silent for years and all this yelling about how Nikon failed with this camera is actually 100% warranted. They put out a camera that has all the flaws someone else got rid of but since it’s labeled a Nikon, it’s not a disappointment it’s “groundbreaking”... snore. Eric, it's far from a paperweight or a snore. Does your Sony have better autofocus? Yes. Who cares. You like Sony so enjoy it but your declarations the the Z is a paperweight and "failed" are just silly. Peace.